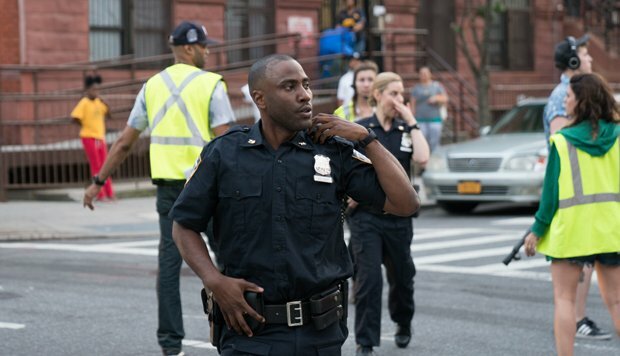 In Monsters and Men an unarmed black man is shot dead by the police. It is a tale all-too familiar in modern America. Making a very promising debut after a string of award-winning shorts and television work, Reinaldo Marcus Green takes the killing as a starting point for a thoughtful, measured reflection on race, conscience and moral dilemmas. The shooting of a beloved local character on the streets of Brooklyn has consequences that ripple through the local community. Green traces the bigger story through the impact on three lives. Manny (Anthony Ramos from A Star Is Born) has filmed the incident on his phone. He has just secured a job and struggles with what he might jeopardise by making the footage public. Dennis (BlacKkKlansman's John David Washington) is a loyal member of the NYPD and believes in duty, public service and doing the right thing. He is also a black man well aware of the corruption and institutional prejudices that surround him. Zyrick (Kelvin Harrison Jr) is a young African-American baseball player who feels he cannot remain a bystander, content to keep his head down and focus on a sporting career that promises him riches. We never see the footage that Manny shot, individual stories are unresolved and the central trio of lives unfold in parallel lines without much intersection. What Green creates instead is a sense of unease. His fluid, flowing camera movements reflect confinement and claustrophobia. This is a fractured community where young black men cannot walk the streets in peace, where standing up and being counted can carry a hefty price tag. Monsters and Men deals in complexities and consequences, finding its sharpest focus in Washington's increasingly conflicted cop. Trying to reconcile a tattered idealism with the reality of his life makes him seem like someone seeking to tap dance on egg shells.